Gini Scott has been totally inspired by Ibiza and the like-minded people all looking for a place to learn and grow here. She retrained in reflexology after receiving it herself, during a difficult career and personal time in her life and was amazed by the benefits she felt afterwards. It ignited her passion for good health and a holistic approach to life – taking responsibility for our own wellbeing and a fascination for the body and it’s incredible way of self-healing. Gini has trained to an advanced level incorporating various techniques including linking which works well with the energy of the body – in addition to working with the nervous system and qualified in hand reflexology, auricular reflexology and natural lift face massage, which incorporates facial reflexology. Now residing in the quiet north of the island next to the sea, Gini wakes up to watch the sunrise, takes long walks and feels very connected to nature on a daily basis. She continues to expand her knowledge and is currently training to be a nutritionist – an aspect of her work that really inspires her. 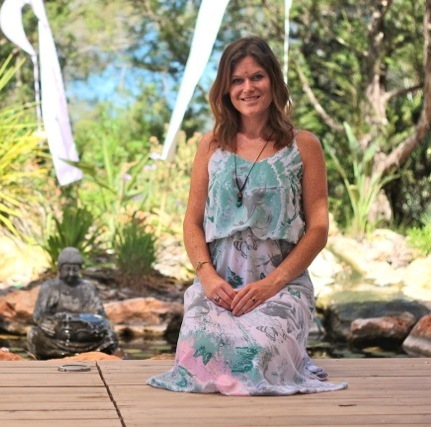 Come and enjoy a session with GIni on one of our retreats – she is such a kind-hearted soul and loves introducing people to reflexology. It’s also one of the therapies that can have such an immediate effect! Yoga for daily life: Practice to survive the festive season! Just Stop!… and remember, ME- time is the key!